Join us. Leave ready to engage, lead and get it done. Location matters. 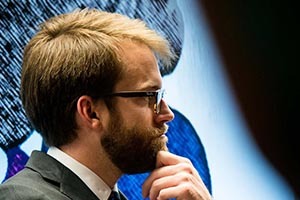 Get to the core of policy challenges and craft solutions at the only policy school connected to a Tier I research university, a presidential library and a state capital, due north of the longest foreign border in the U.S. 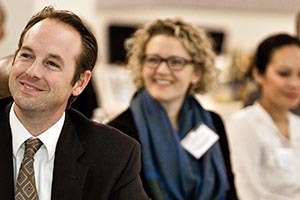 The Master of Public Affairs program aims to prepare leaders with the knowledge and skills to address critical public policy challenges in city, state, and federal government agencies, private businesses and nonprofit organizations. Drawing upon our world-renowned, multidisciplinary faculty, a global network of alumni and the resources of The University of Texas, our graduates are uniquely qualified to shape 21st-century public policy. The Master of Global Policy Studies is a degree designed to offer a view of international policymaking that is both relevant and solution based. 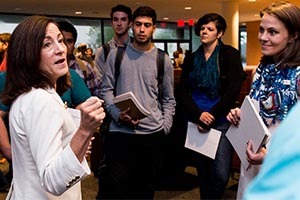 Students benefit from rigorous, innovative and multidisciplinary coursework taught by faculty members who are preeminent voices in foreign policy and diplomacy, security, energy, economics, trade, environment and development. Graduates of the program are equipped to become leading professional policymakers and practitioners in today’s global world. This unique 18-month track within the MPAff and MGPS programs is designed to train future leaders for careers in the domestic or international policy arenas in Washington, DC. The program aims to better prepare students for the unique DC policy environment and transition them into the workforce a full semester earlier than traditional public policy programs—with a graduation in December of their second year of studies, rather than the following May. 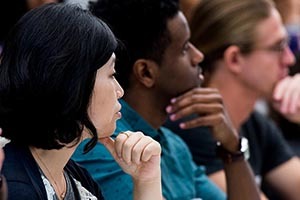 The Ph.D. program’s flexible curriculum allows students to develop in areas of special interest, both intellectually and professionally, and earn their degrees in just four years. They receive close, personalized mentoring from our expert faculty members, and many of our students publish with those faculty and present papers at major conferences and meetings. This, along with unparalleled access to one of the top public research universities, allows students to enter their chosen arenas with a strong foundation of theory and practice. The EMPL degree brings together successful professionals who want to expand their impact, broaden their career horizons and cultivate leadership capacity. The program combines rigorous coursework, interaction with high-performing leaders and real-world skills application to help students raise the bar on their own personal brand of leadership for the publics they serve.